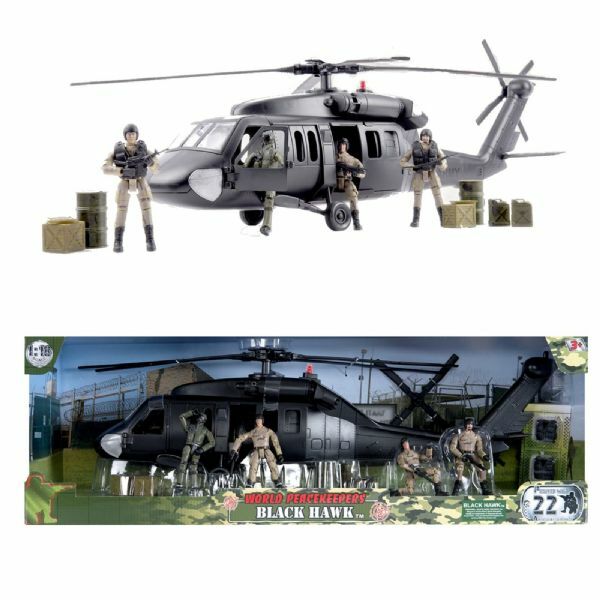 World Peacekeepers is a superb range of collectable military action figures with many compatible accessories and vehicles available. This is another great vehicle to add to your collection of World Peacekeepers. 60cm Black Hawk helicopter with opening cockpit doors sliding cabin doors rotating blades and functioning wheels. Includes 4 articulated figures with 22 Articulated points. Not suitable for children aged 3 years or younger.